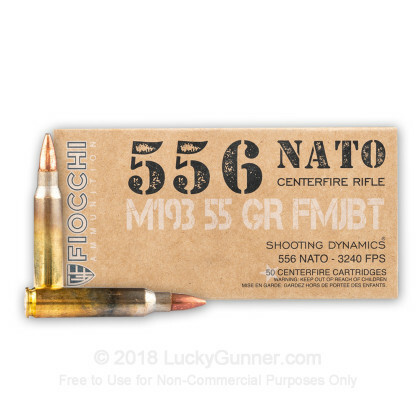 This 5.56x45 cartridge from Fiocchi’s Shooting Dynamics line of ammunition is reasonably priced, yet it still delivers the performance you should expect from so experienced an ammunition manufacturer. As an M193 round, it features a 55 grain projectile with a gilded metal jacket. That jacket assures that the bullet doesn’t quickly cake your rifle’s bore with lead residue, ultimately demanding a cleaning in order to restore accuracy. This bullet further has a boat tail design, which markedly increases its ballistic coefficient in order to improve its accuracy, flatten its trajectory, and help it to avoid straying in flight as the result of wind drift. 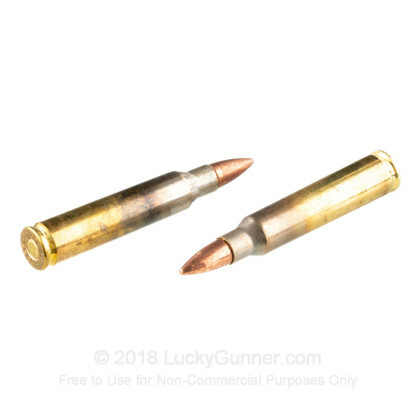 This round’s new production brass casing is resistant to corrosion and will serve you multiple times should you choose to save it for reloading. Its Boxer primer is non-corrosive, so this cartridge will stay ready to fire for several years if you keep it dry. Fiocchi has been in business since 1876, and they’ve accordingly learned how to pour a tremendous amount of value into their ammunition, whether it’s affordably priced or otherwise. 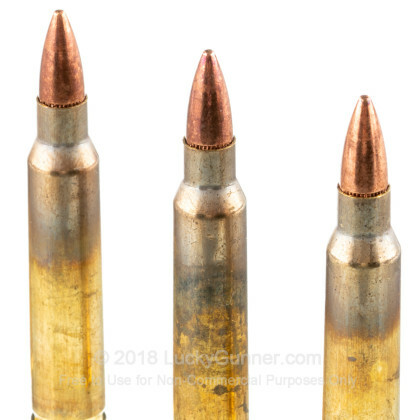 Q: Are these rounds refurbished via reloaded casings? A: Hi Ethan. 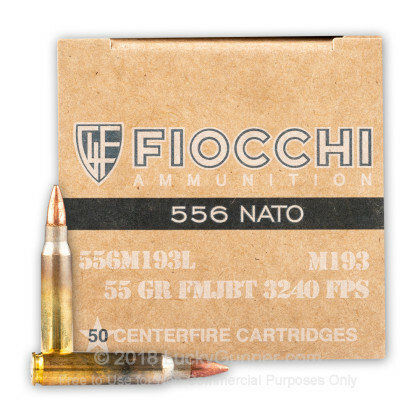 This Fiocchi ammo uses factory new components in new casings. No reloads. Q: Are the primers on this round crimped? Is that the same as "sealed"? A: Hi Steve. The primers on this particular round is not crimped. Sealed primers refers to the process of using a sealing compound, usually a lacquer type material, to make the primer water tight. This usually locks in the primer without the need for mechanical crimping. Q: In response to Jack's question above, what is the benefit of having a sealed bullet and primer? 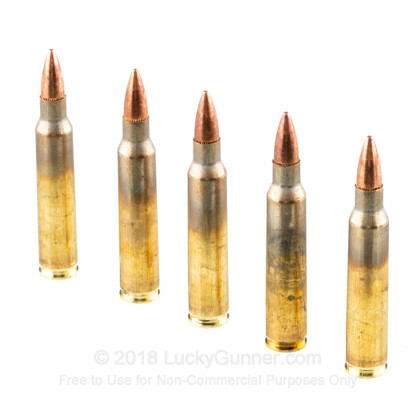 A: Having sealed bullets and primers is beneficial for long term storage and an increased likelihood of the ammunition surviving adverse conditions like severe humidity, rain, or even water submersion. That said, unsealed ammunition is still perfectly fine to store for years at a time as the bullet and primer are tightly fitted to the casing. As long as humidity is kept in check with silica packets, and it is stored in an airtight environment, you can potentially store ammunition indefinitely. Q: Is the bullet and primer sealed? A: Jack that particular round is not sealed. 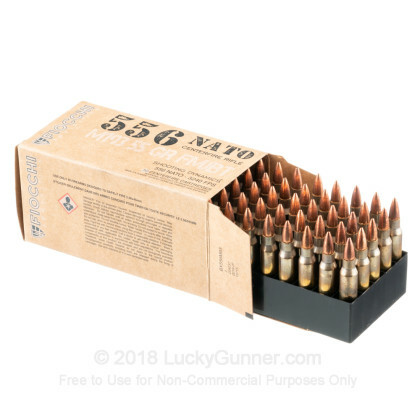 We do at times have sealed rounds from Fiocchi and other manufacturers, and when we do we always make a point of providing a photo clearly showing the sealant and put that in the ammo description. This may help you to find the sealed ammo you want in the future.